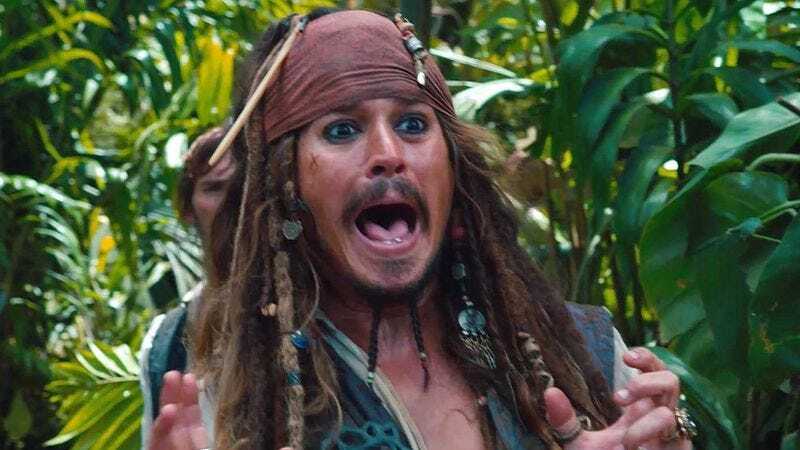 In keeping with its title’s suggestion that it would be returning the franchise to its theme-park roots, Pirates Of The Caribbean: Dead Men Tell No Tales has been shut down for maintenance, leaving audiences to wait in line for, oh, somewhere between the next 45 minutes and 2016. Producer Jerry Bruckheimer tells The Hollywood Reporter that the indefinite delay is due to issues with the script, saying, “We have an outline everyone loves, but the script is not done.” (Section I. Johnny Depp gets on boat. a. Johnny Depp acts drunk. b. Something happens to boat. c. Ghost fish?) And while the lack of a cohesive, fully realized plot hasn’t seemed to be an impediment in the past, Bruckheimer acknowledges that the failure of The Lone Ranger means that now “everybody’s more cautious” about the idea of just dumping hundreds of millions of dollars into the ocean. Now Disney—abandoning its earlier philosophy—insists on having an actual story before doing that.